Its pretty unbelievable that I went this long without ever trying a wig-securing headband. I figured that I was satisfied with the "status quo" of using clips mainly because my wigs never came loose and because my clips never hurt my head because I never clipped them too tightly (or at all). 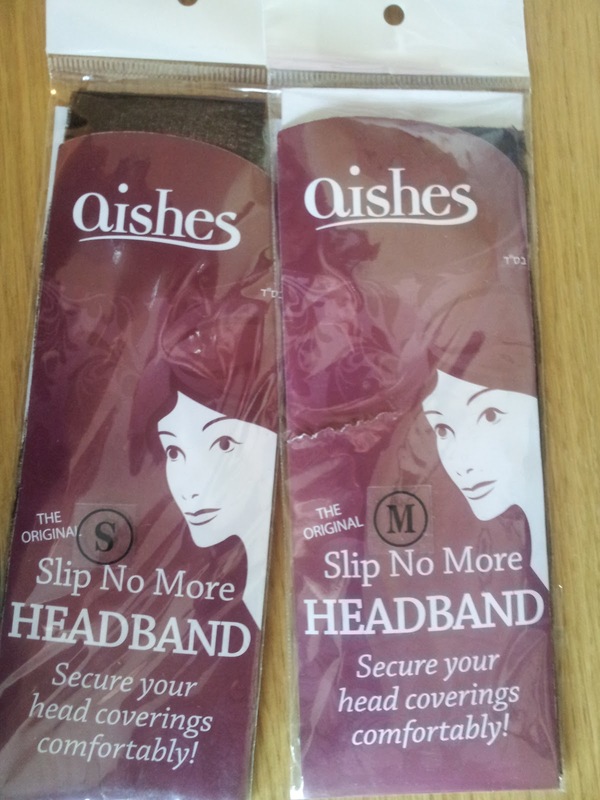 However, I was sent the Aishes Slip No More Headband to try and I am excited to share my experience with you. 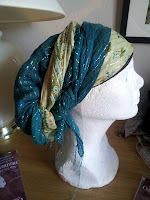 I know I mostly blog about wigs, but I actually spend a lot of time not in a wig, but in scarfs, bandanas, hats and snoods. As it turns out Slip No More works great on them all. For example, I wore the Slip No More Headband under my pre-tied bandana at the gym, and I'd hate to say that there have been times where the bandana had slipped back or even fallen off in the past when I was doing work on the floor. I take Body Pump so for three of the tracks we are on our backs: chest press, triceps and abs so its important that my head-covering stays on. With the Slip No More under my bandana I had no fear about it falling off. In fact, the bandana stayed exactly in place, secured. The Slip No More worked great keeping an Israeli-style tichel on. I was in disbelief that I had never thought of it before. In fact I think it will help people keep on tichels in multiple layers which can be weighed down from their weight. Tichels tend to slide back in general if you have smooth hair and this really helps. Results with a loose beret: great (pictured left). 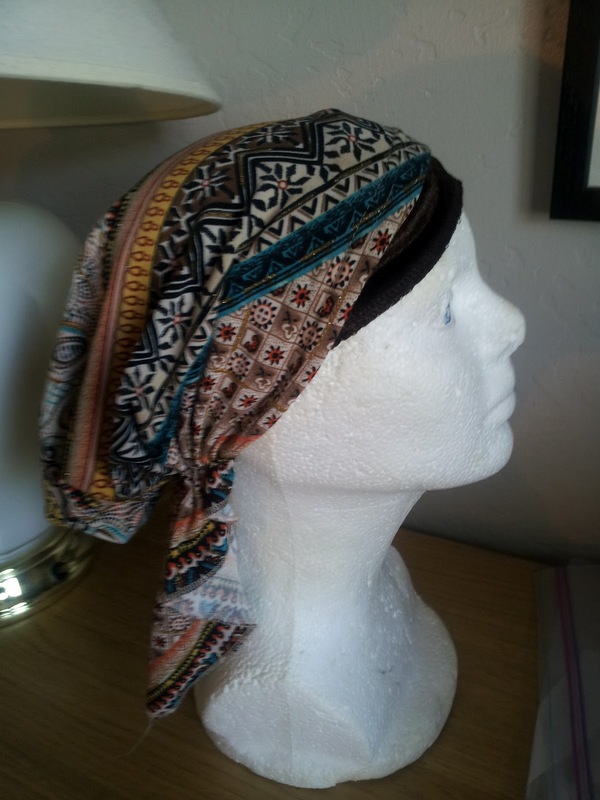 Amazingly it kept on a pre-tied tichel that ALWAYS slipped back because of its small size and material. Now I can comfortably wear the pre-tied pictured below that I have always liked and bobby pins never kept on. I have a large head and the size Large band fit me appropriately. The velcro closure is about 1.5 inches wide so there is room for a slight size adjustments. I used it with my old Milano Sheitel while outlet shopping which is now styled in a pony tail. One of the worst thing about shopping and trying on clothes is pulling crew neck tops over a covered head because usually my wig gets pulled back or my tichels fly off and get stuck inside the shirt. However, despite a lot of shirts coming on and off my wig stayed put. It was cool not to have any clips secured to my hair. Obviously I had to smooth down the hair that kept get frizzier and frizzier... I'm sure you ladies know what I'm talking about. The only hair covering which I will not continue to use the band with is ironically falls (3/4 wigs). I found that the band added a little extra height underneath the fall which made the fall look less natural. Falls have a tendency to look fake because of their usual thickness contrasting with the flatness of ones real hair pulled back tightly. 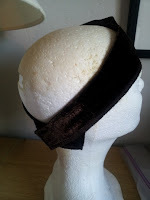 I tried both the "Bump Fall" and a "headband fall" styling and both were less comfortable with the Slip No More on. I will also attribute this to the fact that I never snap my clips closed when I wear my falls so they fit really comfortably anyway. I am really in love with the Slip No More when it comes to hats, scarves, full wigs and every other head covering on the planet. I think the band could be helpful to people with no hair or thinning hair since they may not have enough hair to clip wigs to. 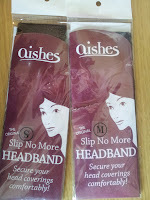 This headband will allow them to purchase "sheitel" type wigs rather than wigs that have to be bonded like lace front or vacuum. Keep in mind that I purposely left the band showing in all the pics above for this blog posting but I do not recommend showing the band in general, though because of its dark brown color from far away it would really look like someone's hair unless you have light blonde or light red hair. Review of Claire Contessa: Interview with AskChavi reader "RS". What made you decide to purchase a Claire? Where did you hear of the brand? I’d never had a sheitel I liked, so when my daughter became a kallah I asked around and got the most consistently positive feedback about Claire Accuhair. Once I saw what they were selling I decided to get my own for the chassunah. Claire Accuhair is one of the oldest sheitel companies in the US. Claire herself has an amazing lifestory—she learned wig making while in a DP camp after the war, and started making her own when she got frustrated with what was available for a young kallah in Brooklyn in those days. If you go, try to spend a few minutes talking to her (or even better, sing her a Hungarian song if you know one!). She has a wonderful view of life. How many other sheitels did you try before deciding on it? I’ve been wearing sheitelach for almost 25 years—part synthetic to start, and then later Remy hair. I was never really happy with any of them. What color is your Claire? 6, one needed a little highlighting. Was it custom made or pre-made? How would you describe the texture of hair? It feels like very healthy well cared-for hair. I’ve had it styled silky and straight as well as wavy with body and the hair holds any style you give it. About the only thing you might not be able to do is get a totally stick straight, limp look—unless you want to have the hair thinned out a lot. Did you have a specialized wig cap size? Yes, as I said. My daughter had to have hers taken in. They did an excellent job with that kind of alteration as well. The caps start slightly on the large side, I think, so that they can take them in and do other alterations if necessary (which will cost you less than if you had to add hair in to make the cap fit). Did you purchase it from the Claire salon or from a sheitel macher? How did their involvement in the sale help the overall kallah experience? Claire’s daughter worked with my daughter, showing her how to wear and care for her sheitel. I think she had a very positive experience—very different from my travails with my earlier sheitlach! 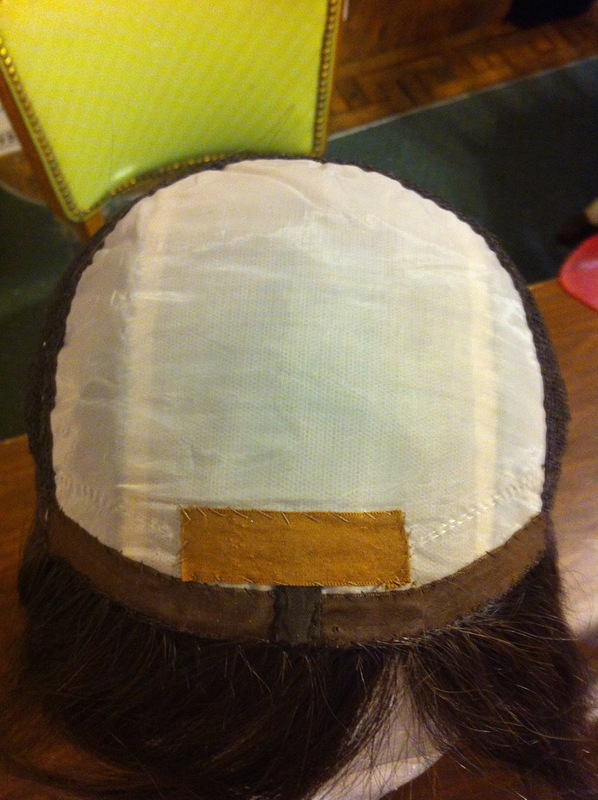 What was the hardest thing about finding a sheitel as a kallah? I didn’t have anyone to help me, so I ended up with horrible, ill fitting sheitlach. I certainly didn’t want my daughter to have the same experience, and she didn’t B”H. Does the cap fit you well, is it comfortable? Very comfortable. I wear it all day and I find it about the most comfortable head covering I have. 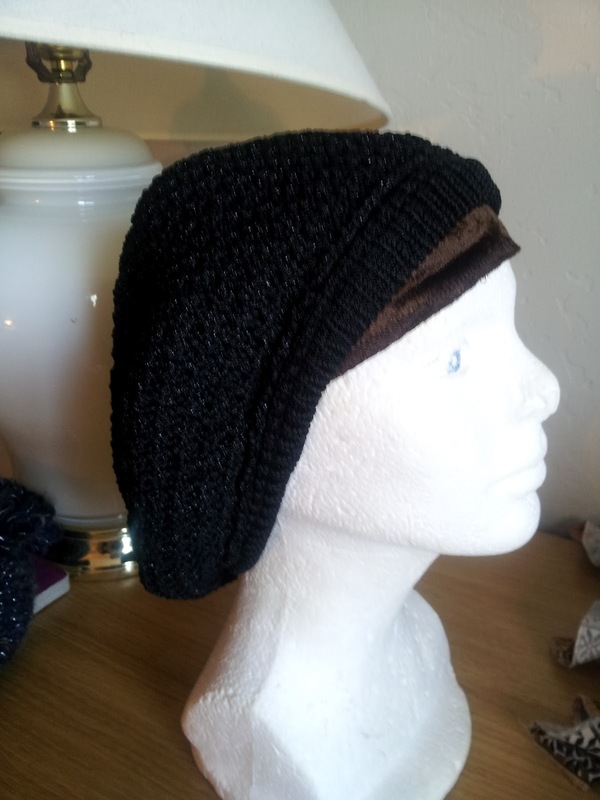 When I first looked at the cap I questioned that it wasn’t all stretch, which I thought would be more comfortable. I have a different make of shaitel that had a stretch cap and I find that it slides around a lot more than my Claires do, and it began to stretch out pretty quickly. 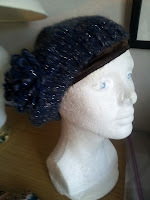 The Claire cap is not the lightest when you’re holding it in your hand, but I find it more comfortable to wear. Does it give you headaches? Not at all. At most it gets a little tangled if I don’t put a brush to it for the whole day-but NEVER knots . Do you think the skin top is really realistic? I find the skin top realistic and it is quite big so you can do a lot with the top, parting in different ways, etc. Have you ever washed it yourself? If so, did the hair knot when wet? I’ve washed it myself a few times. The hair doesn’t knot, but you do have to be careful not to pull too hard on it, since it’s hand tied not machine wefted, and the hand ties don’t stand up to abuse as well. (I have always washed my own, but they were all machine wefted.) Claire told me how to handle it (pinned to a head the whole time, and combing the shampoo through) and I can do it, but I prefer to have Claire’s people take care of it. They do a good job, no matter what I ask them to do, and it’s one less headache (so to speak). What quality hair was advertised to you and do you feel the hair was the same as advertised? Each Contessa I bought came to approximately $1,500 including the cut and the alterations. How was the Claire/sheitel macher customer service? Really great. I have gone in several times with little things (a piece of hair that’s not falling the way I like it, etc.) and Claire herself has fixed it on the spot. (The first time I went in she begged me to let her do something with the quite inferior sheitel I was wearing—which was NOT one of hers—because she didn’t want me to wear it looking like that. She spent a good 15 minutes patchkying with it—wow, what a difference!-- and wouldn’t take a penny.) They give you at least a month after the styling to come back and have things changed around. I brought mine back in after the chassunah because I’d decided I wanted a more layered look and they redid it for no extra charge. Claire’s is a small place—there are only 8-10 people working there, total (including Claire and two of her daughters)—and there’s a nice family feeling about the place. Would you buy a Claire again? 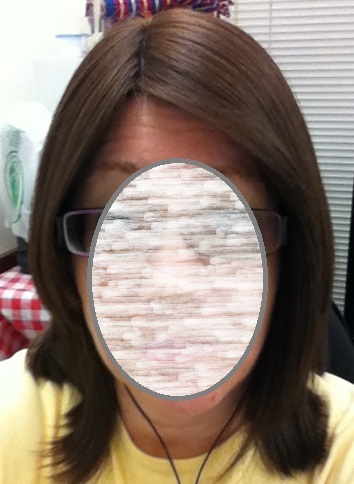 Are you happy with your sheitel cut? Would you get a different style next time? I have two Claires and I’m happy with the style on both of them. I don’t think I’ll be buying a new one for at least a few years so the styles probably will have changed by then. I can certainly see having one of them recut in a couple of years if I get tired of the style it has now. 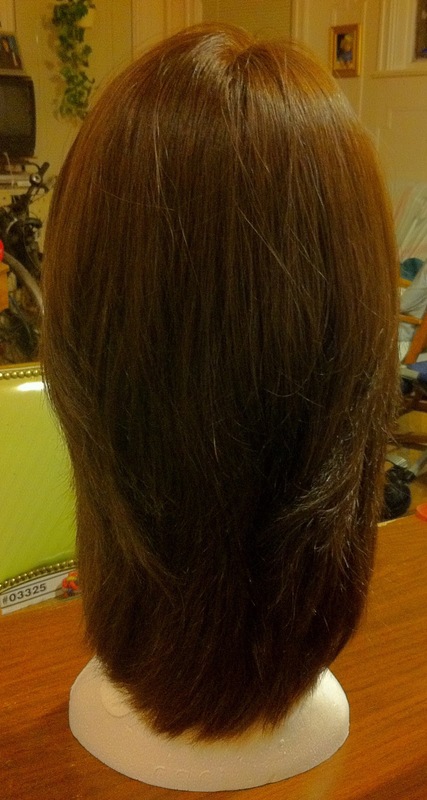 One of my readers wanted to share her dramatic story of a wig purchase she made online which ended up ending very badly. 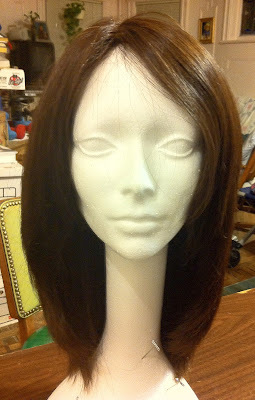 She purchased a wig from Tidebuy which was advertised as handtied, but in fact the wig was entirely machine wefted and did not even have a multi-directional skin part. It was essentially unwearable because it looked so unrealistic and she attempted to try to return it to Tidebuy. Below is her email trail with Tidebuy showing their complete lack of customer service and their outright false internet advertising. It can be VERY risky to buy a wig from an unknown online foreign vendor. Sometimes its better to spend a little more to buy something reputable. Nevertheless we can all learn from my reader's mistake and hopefully Tidebuy steps up and takes responsibility for their products. Below is a video showing the wig which was sent and under that is the email trail between my reader JM and the Tidebuy customer service representative. It seems like you're having difficulty understanding what I'm saying. 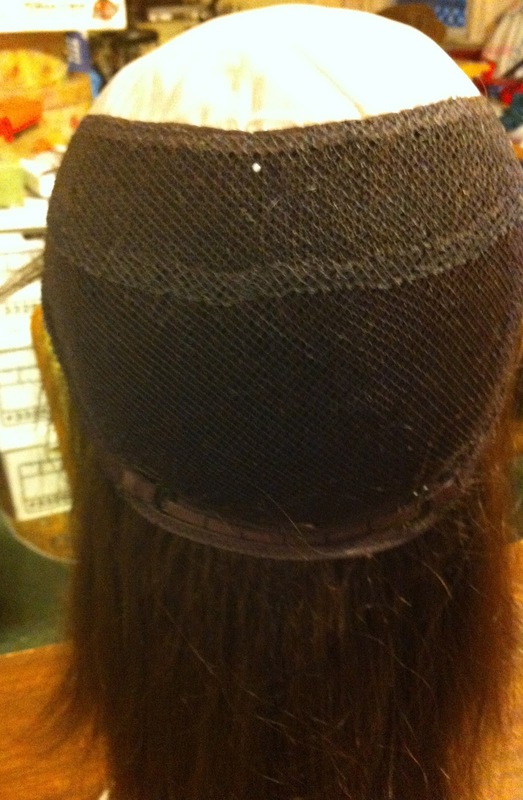 wefts, a much lower quality process. information with as many people as possible. > Thanks a lot for your concern of your order. > changed, you can make it into the one in the picture on our website. > have a special effect. > Sincerely hope you can understand this. > questions, please feel free to contact us. speak? You don't seem to be understanding what I'm saying. but to warn other customers from buying from your company. > inconveniences we brougth to you. > with you in future. We really appreciated your understanding. > back to you within 24 hours at working days. Thanks so much. Dear Michael,Today is 7 days after I received my order. I contacted your company about returning the order within a couple hours of receiving it. I am still waiting for your instructions. I hope that this matter will be resolved soon. Please respond. Dear J, Thanks for concern of your order and we are really sorry for all the inconveniences we brougth to you.So could you please take some clear pictures for the wig you received, and tell us where is not as described. After we received your pictures,we would contact the supplier to ask compensation for you ,refund or exchange all no problem if there are really huge issue.Looking forward to hearing from you soon.thanks.If you still have more questions,just feel free to contact us. We would get back to you within 24 hours at working days. Thanks so much. For any items, if there is a quality problem and you want to apply for a refund/exchange, please upload some persuasive pictures or video. Once it is verified, you can send the item back to us (customer assumes the shipping cost) only after you get our permission, and we will give you the corresponding comepensation.